Hundreds of people are executed every year in Iran, but Balal will not be one of them, thanks to the actions of his victim's mother. With Eyes Covered And A Noose Around His Neck, A Young Man Identified Only As Balal Was "Screaming And Praying Loudly Before He Just Went Silent"
What unfolded next was an extraordinary, unexpected act of forgiveness. It Was Wednesday, Early In The Morning. 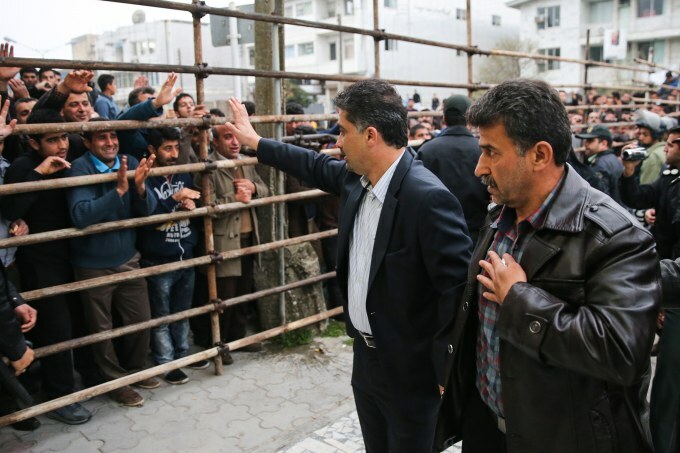 Balal Was Walking To The Gallows To Face Execution In The City Of Nour, In Northern Iran. 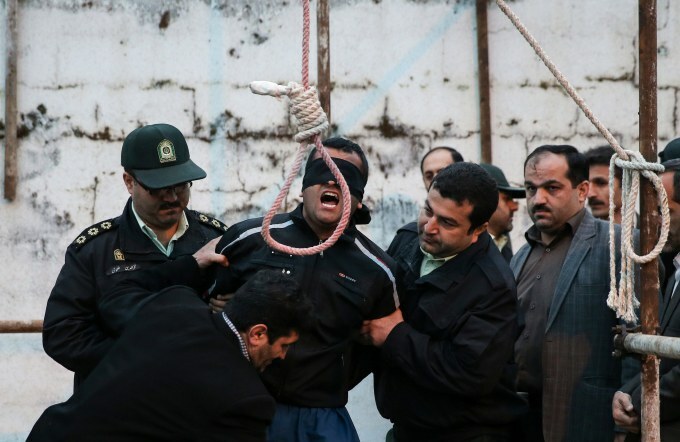 Balal is brought to the gallows by judicial officials during his execution ceremony in the northern city of Nowshahr on April 15, 2014. 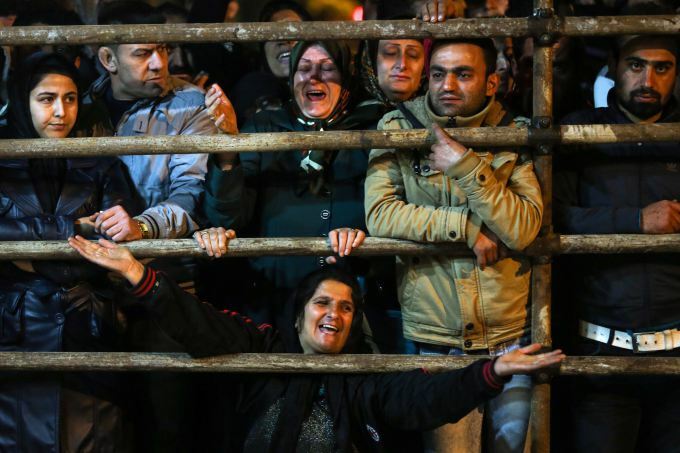 It Was Before Sunrise But Hundreds Of People Had Gathered Near The Prison To Watch It. Balal's Mother And Sisters Were Crying Hard. 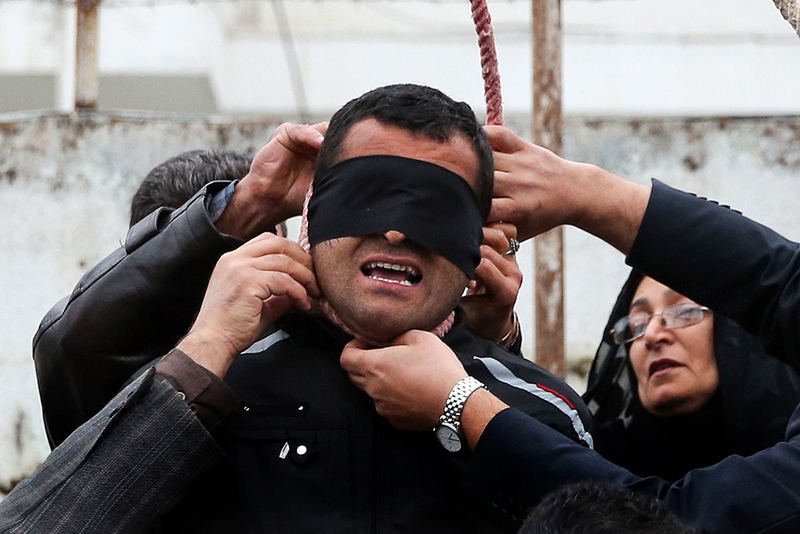 Balal is brought to the gallows during his execution ceremony in the northern city of Nowshahr on April 15, 2014. Some In The Crowd Started Shouting "Forgive Him, Forgive Him". They Were, Along With Balal's Mother, Asking The Family Of The Victim To Pardon Him. 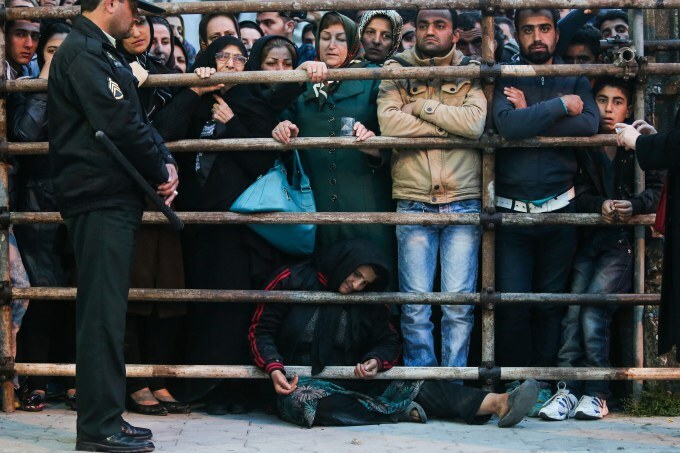 Balal's mother (C) asks for the family’s forgiveness as her son is brought to the gallows during his execution ceremony in the northern city of Nowshahr on April 15, 2014. Balal Had Stabbed Abdollah Hosseinzadeh To Death Some Seven Years Ago In A Street Fight. He Was 19 At The Time, Abdollah Was 17. As Guards Put The Rope Around Balal's Neck, He Started Crying Hard. 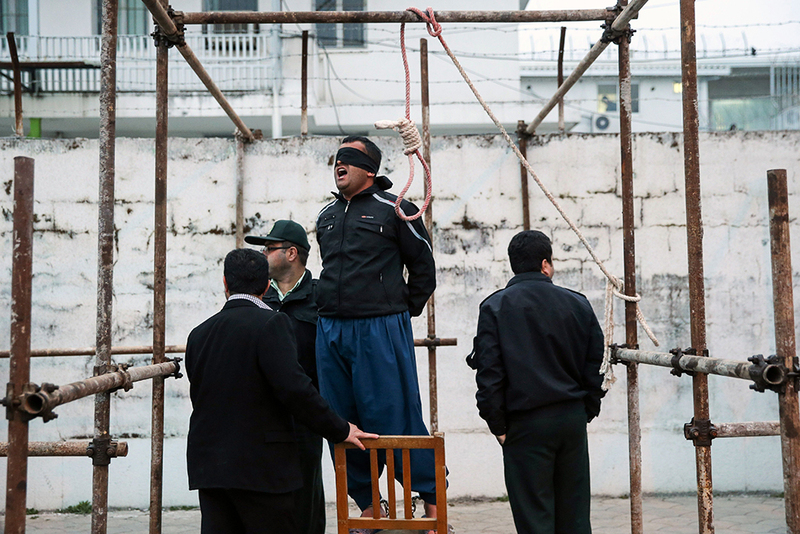 Balal reacts as he stands in the gallows during his execution ceremony in the northern city of Nowshahr on April 15, 2014. 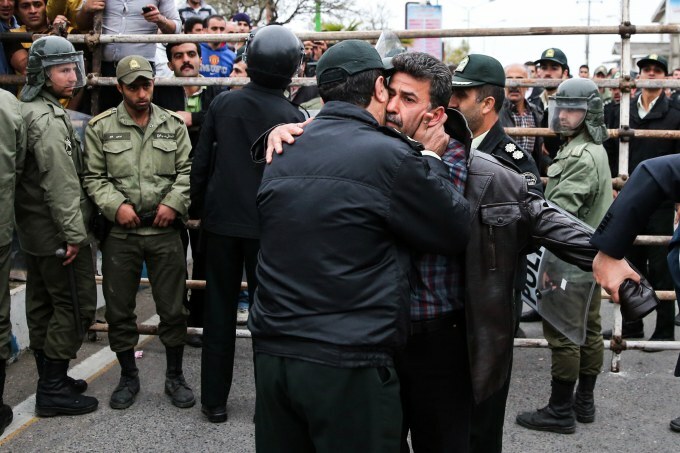 But what happened next marked a rarity in public executions in Iran, which puts more people to death than any other country apart from China. 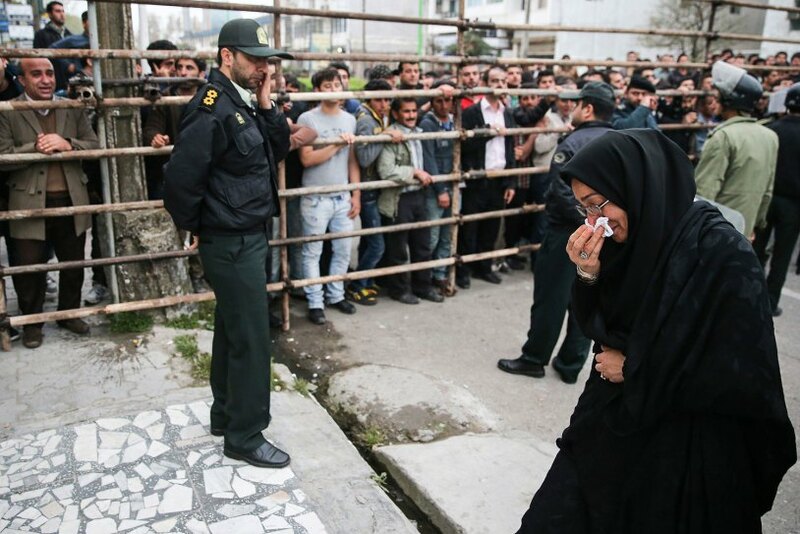 The mother of Abdolah Hosseinzadeh, slaps Balal who killed her son during the execution ceremony in the northern city of Nowshahr on April 15, 2014. Then, In Front Of The Surprised Crowd, She Took The Rope From Around Balal's Neck. She Had Forgiven Her Son's Killer. 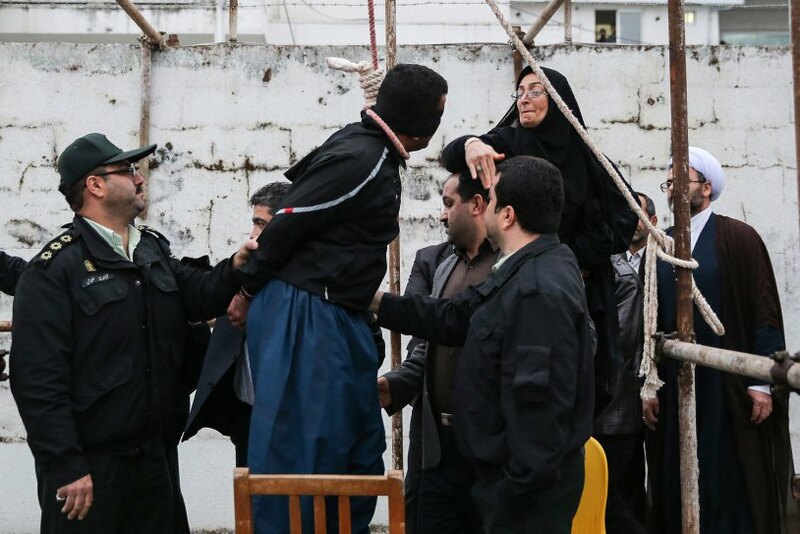 The mother of Abdolah Hosseinzadeh removes the noose with the help of her husband from around the neck of Balal, sparing the life of her son's convicted murderer, April 15, 2014. 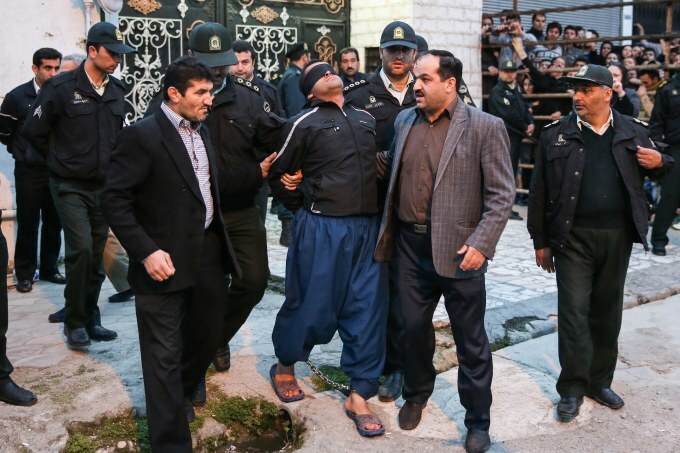 Arash Khamooshi, the photographer who photographed the dramatic scenes, said that, after slapping Balal, the mother told the crowd that she had forgiven him, and helped Hosseinzadeh’s father take the noose off. Balal's Mother Hugged The Grieving Mother Of The Man Her Son Had Killed. The Two Women Sobbed In Each Other's Arms – One Because She Had Lost Her Son, The Other Because Hers Had Been Saved. 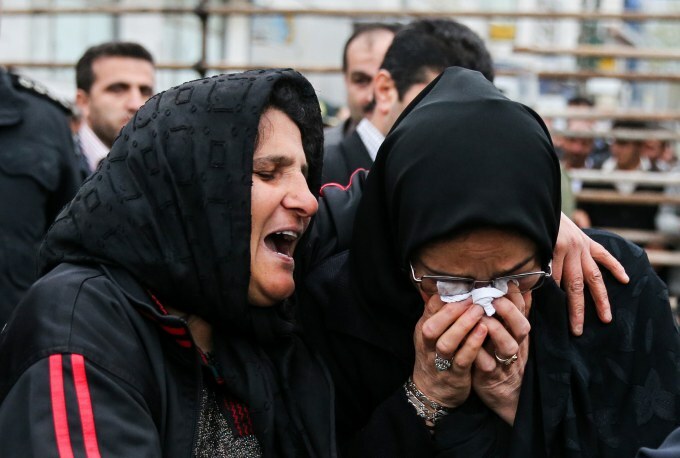 The mother of an Iranian man Balal, left, who killed an Iranian youth Abdolah Hosseinzadeh in a street fight with a knife in 2007, cries with the mother of Abdolah Hosseinzadeh after she forgave Balal, giving him an emotional slap prior to removing the noose around his neck in the gallows during his execution ceremony in the northern city of Nowshahr on April 15, 2014. The Action By Abdollah's Mother Was All The More Extraordinary As It Emerged That This Was Not The First Son She Had Lost. 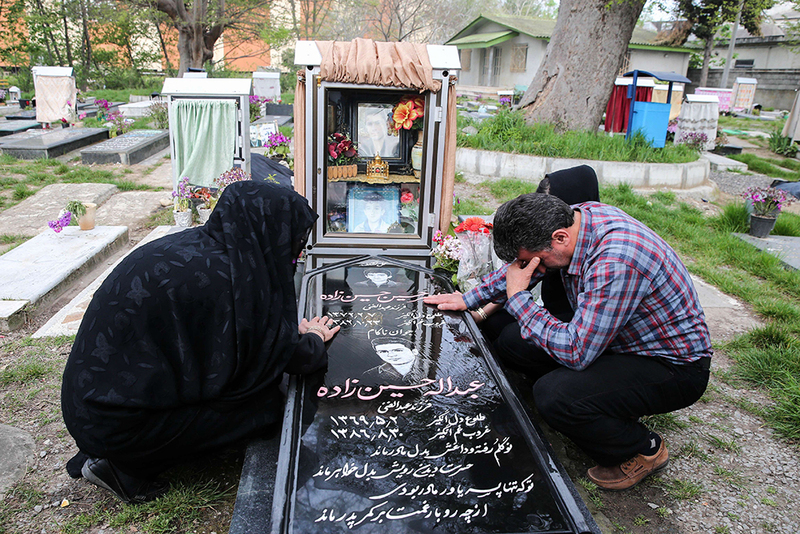 Her Younger Child Amirhossein Was Killed In A Motorbike Accident At The Age Of 11. 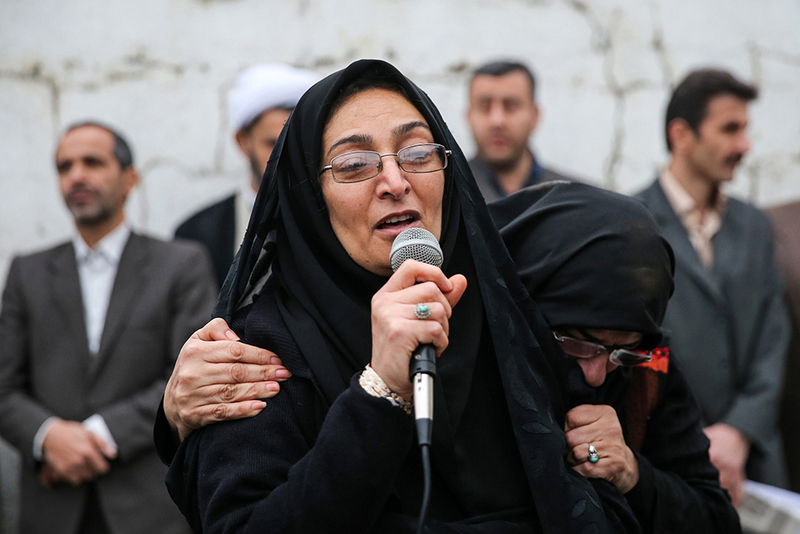 Samereh Alinejad, the mother of Abdolah Hosseinzadeh, cries after she spared the life of her son's convicted murderer with an emotional slap in the face as he awaited execution with the noose around his neck in the northern city of Nowshahr on April 15, 2014. "My 18-year-old son Abdollah was taking a stroll in the bazaar with his friends when Balal shoved him," said the victim's father, Abdolghani Hosseinzadeh, according to Isna. "Abdollah was offended and kicked him but at this time the murderer took an ordinary kitchen knife out of his socks." Hosseinzadeh Sr has come to the conclusion that Balal did not kill his son deliberately. "Balal was inexperienced and didn't know how to handle a knife. He was naive." Bystanders applaud Abdolghani Hosseinzadeh (R) the father of Abdolah, an Iranian youth killed by fellow national Balal in a street fight with a knife in 2007, after he and his wife pardoned their son’s convicted murderer, during his execution ceremony in the northern city of Nowshahr on April 15, 2014. According to the father, Balal escaped the scene of the stabbing but was later arrested by the police. It took six years for a court to hand down a death sentence, and the victim's family deferred the execution a number of times. A date for execution was set just before the Persian new year, Nowruz, but the victim's family did not approve of the timing. A police office kisses Abdolghani Hosseinzadeh (C-R) the father of Abdolah Hosseinzadeh who was killed by a fellow Iranian, named Balal, in a street fight with a knife in 2007, during Balal’s execution ceremony in the northern city of Nowshahr on April 15, 2014. Three days ago my wife saw my elder son in a dream telling her that they are in a good place, and for her not to retaliate … This calmed my wife and we decided to think more until the day of the execution. Samereh Alinejad, the mother of Abdolah Hosseinzadeh, at her son’s killer’s execution ceremony. "I am a believer. I had a dream in which my son told me that he was at peace and in a good place. After that, all my relatives, even my mother, put pressure on me to pardon the killer." The “slap was the space between revenge and forgiveness”, she added. "Now that I've forgiven him, I feel relieved." Although The Family Has Forgiven Him, Balal Will Not Be Freed. Under Iranian Law The Victim's Family Have A Say Only In The Act Of Execution, Not Any Jail Sentence. Parents mourn at the grave of their son after they spared the life of their son’s convicted murderer. Balal has now been returned to jail – the system of qisas gives victims’ families control over the administering of death penalties, not prison sentences. Why Did Malaysia Postpone The Secret Execution Of A Man On Death Row? China still executes more people than every other country combined, but the Global Execution Rate went up last year too.